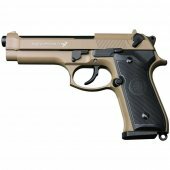 Badlands features a wide variety of Airsoft guns, and we are continuously expanding our offering of high quality airsoft pistols and airsoft rifles so that you have a great selection to choose from. 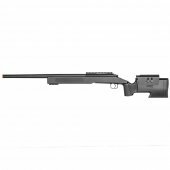 Unlike most airsoft suppliers in Canada, Badlands has deep stock levels on the airsoft guns that we carry. With a massive selection of everything from Electronic AEG's to Co2 and Green Gas powered, no matter your play style Badlands has the Airsoft Rifle or Airsoft Pistol that is right for you. Airsoft Guns There are 168 products. The staple of the Airsoft Canada industry, AEG Automatic Electric Guns are the perfect choice for new players and veterans alike. Capable of high rates of fire in the toughest conditions AEG Automatic Electric Guns will keep up with any other platform on the field. 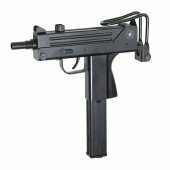 Badlands carries a wide selection of AEG Automatic Electric Guns and we are continually expanding our offering so that you have a great selection to choose from. 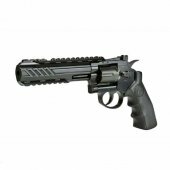 Gas Blowback Airsoft Guns from Badlands are designed to replicate both the look and feel of real world firearms. With a loud sound signature and significantly more kick then AEG counterparts you will feel like you are holding the real thing with a Gas Blowback Airsoft Gun in your hands! 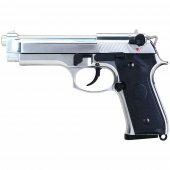 Badlands carries a wide selection of Gas Blowback Airsoft Guns and we are continually expanding our offering so that you have a great selection to choose from. 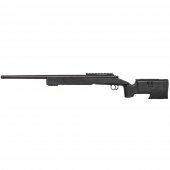 Spring Action Airsoft Guns are perfect for any new airsoft operator looking to step onto the field without emptying their wallet. Often more cost effective, Spring Action Airsoft Guns are very easy to maintain and operate due to the simplistic nature of their design. 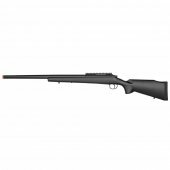 Spring Action Airsoft Guns do not require any kind of gas or batteries making it easy for any player to simply load the gun and walk onto the field without a worry. Leave technical headaches in the past and step onto the airsoft field with a Spring Action Airsoft Gun! ActionSportGames is a worldwide leader in the business of replica firearms and accessories manufacturing – including Airsoft guns, Airguns, Co2 guns and firearms replicas. 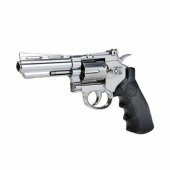 They specialize in 1:1 scale replica guns and accessories for fun, action, sports, entertainment, and collection. G&G Armament has been an established company since 1986. With two decades of experience when it comes to designing and manufacturing airsoft guns, as well as producing military and law enforcement equipment, you know G&G Armament is the real deal! ICS Airsoft guns are affordable, easy to maintain and high performing right out of the box. When you use an ICS product, you know that you will be able to go from any of our airsoft stores in Canada to the field without any hassle. Badlands brings you some top of the line airsoft products from King Arms. Our King Arms roster includes models such as the TWS M4 RAS Ultra Grade, M4 TWS M-LOK and M4 TWS VIS which come in three optional colours as well as carbine or CQB styles. If you are looking for a premium build quality, ultra realism, great MOSFET systems and the ability to customize your airsoft experience with the additional railing, then King Arms is for you. We are proud to introduce the KRYTAC Airsoft Gun Lineup to all of our customers who enjoy the playing airsoft. What sets KRYTAC apart from the competition? KRYTAC'S focus is to cultivate the community with innovative products that lay the foundation for safety, to build shooting skills and evolve with the owner. At the moment, we offer the KRYTAC Trident MK2 CRB in both Dark Earth and Black colours as well as the KRYTAC Warsport LVOA-C M4 Carbine. KWA Airsoft works with a variety of military, local, state, and federal law enforcement agencies and training centers. By offering products that are not only cost effective, but also reliable in performance and solid in build quality, KWA Airsoft has advanced the development of airsoft into a non-lethal training alternative for military and law enforcement agencies around the world. SRC, which is short for Star Rainbow Company, was founded in Taiwan back in 1993. SRC uses tons of BB’s every year just to verify the quality of their products. Every single product is assembled by hand. Hit the field with a Tippmann Airsoft Gun knowing you will have the durability and quality in your gear required to get you through any combat situation! With tried and tested technologies incorporated into every Tippmann Airsoft Gun you can count on your gear when you need it most! 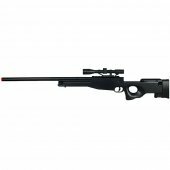 Looking for where to buy airsoft guns in Canada? You can shop with confidence online or in one of our four stores across Canada including Toronto, Calgary, Hamilton and Vancouver to serve you better! We have been in business since 1988. If you find that an airsoft gun that we carry is out of stock, rest assured that a replacement order is already on its way to us! Action Sport Games is a worldwide leader in the business of replica firearms and accessories manufacturing – including airsoft guns, Airguns, Co2 guns and firearms replicas. 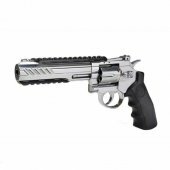 They specialize in 1:1 scale replica guns and accessories for fun, action, sports, entertainment, and collection. 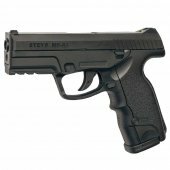 Their airsoft guns come in a variety of forms such as standard airsoft pistols, Dan Wesson airsoft gun revolvers, Steyr AEG airsoft gun rifles and sniper rifle airsoft guns! 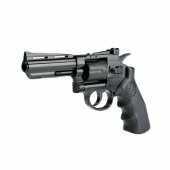 If you’re looking for a wide variety of airsoft gun options, check out ASG! B&T is an airsoft gun manufacturer that has created the GL-06 airsoft gun grenade launcher which is designed to work with all kinds of 40mm grenade shells for airsoft gun gameplay and paintball gun gameplay alike! B&T airsoft guns are light weight and user friendly which is a perfect choice for airsoft players trying to clear a room quickly or blow away the competition with a powerful airsoft gun! Elite Force is a division within Umarex USA that has a main focus on competitive airsoft products. They specialize in developing, designing, and marketing airsoft products for North America. 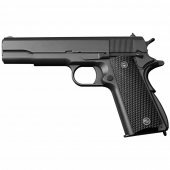 Elite Force airsoft guns are very popular with models such as the Elite Force 1911 tactical airsoft gun pistol, the Elite Force MCR airsoft gun and the Elite Force M4 airsoft gun. G&G Armament looks to innovate their new designs, new materials and new systems to make products including airsoft guns stronger and more competitive. They use the CNC shift operation to make parts for their airsoft guns and make them as close to the real ones as possible. G&G focuses on customer ideals to upgrade airsoft gun parts to ensure the product shelf life is much longer. They aim to provide high-quality Airsoft guns to customers and believe in making products as realistic and authentic as they can. ICS Airsoft is an airsoft gun and airsoft product manufacturer that constantly improves their products with first-tier research and development, middle tier production quality and last tier marketing capabilities. Their product lines are continually being innovated with airsoft guns such as the ICS Mars Komodo, ICS Mars Carbine airsoft gun and their newest S3 line which includes a carbine, SBR, DMR and komodo airsoft gun model. King Arms Airsoft is an airsoft gun manufacturer that aims to produce parts and accessories for airsoft guns and their relative products which include an awesome line of accessories and modifications. King arms Airsoft aims to bring the best airsoft guns through a process of idea generating, planning, designing to manufacturing which allows them to bring quality goods at minimal cost. Badlands features a line of King Arms airsoft guns including the King Arms TWS M4 VIS Carbine airsoft gun, King Arms TWS M4 CQB airsoft gun and more! KWA Airsoft works with a variety of military, local, state and federal law enforcement agencies as well as training centers. Their airsoft gun and other airsoft products are not only cost-effective but reliable in their performance and solid build quality. KWA has advanced the development of airsoft guns into non-lethal training alternative for military and law enforcement. 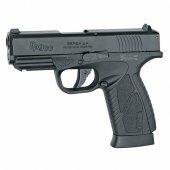 Badlands offers a large line of KWA airsoft guns including the KWA AEG RM4A1 airsoft gun, KWA KM4A1 Carbine airsoft gun, KWA M226 LE and the KWA PTP M9 airsoft pistol. SRC, which is short for Starrainbow Company, was founded in Taiwan back in 1993. It evolved into a large company who began manufacturing and selling their own line of airsoft guns. With their aim to be one of the world’s best airsoft gun producers, SRC put a large investment into their products. 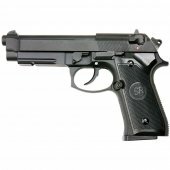 Here at Badlands, you can find a wide array of airsoft guns from the SRC SR92 airsoft gun to the SRC SR4-ST Alpha airsoft gun and the SR-47 airsoft gun variant, there are many options to choose from. 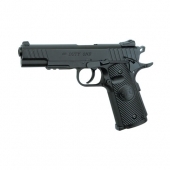 SRC carries great airsoft guns and airsoft gear for people starting out or who are on a budget. In 2014, Tippmann branched out into the airsoft industry with their new Tippmann Tactical brand of products. Tippmann Tactical focused on high-quality airsoft guns and airsoft gear. From the highly popular Tippmann Carbine M4 airsoft gun which can also house an HPA tank to the Tippmann Recon airsoft gun and the new Tippmann Commando Carbine airsoft gun line, Tippmann is only getting started.